We started HomemadeHints.com because we spend a lot of time scouring the web for solutions to our problems and usually cannot find answers very easily. We have a DIY (Do-It-Yourself), self-reliance philosophy when it comes to our lifestyle. Of course we cannot do everything ourselves, but for those things than can be self-taught and fixed or made at home by our owns hands, we’re all over it. Yay! It’s finished and we both can stand on it together, plus more! 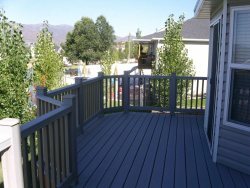 We’re on a tight budget, so unless absolutely necessary, we don’t call plumbers, electricians, landscapers, etc.. We’ve done our own landscaping, we fix and install items ourselves when it come to the house and some auto repair/maintenance. We use as much as our property as we can to grown vegetables, even in a cold climate with a short growing season. We like to grown our own fruits and vegetables. 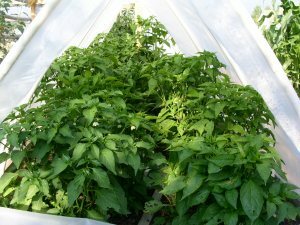 Since we live in a colder climate, we extend our season with building a simple greenhouse. We also prefer to cook from scratch and use very little packaged food as possible. When it comes to health, we prefer to use natural home remedies before reaching for OTC drugs or prescriptions. You can pay an expert or learn to do it yourself and save some money. 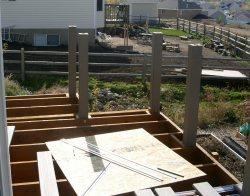 The first time you do a DIY project, it will take a little more time of course, but now you have a new skill set and not just an emptier wallet. We are not experts, but we have a lot of knowledge from trial and error and want to share it here on HomemadeHints.com as well as grow a community of DIYers who will share what they have learned too. So please browse our site, ask questions or leave comments at the end of the posts and do return often!